win a luxurious Montreal king size TV bed with 32 inch LG LED television, worth nearly £2,000. Dreams, the UK’s leading bed specialist, is launching a nationwide competition for one lucky late night TV lover to win the ultimate in luxury beds. Dreams is calling on the nation’s TV fans to head over to its website and answer one simple question for their chance to win a luxurious Montreal king size TV bed with 32 inch LG LED television, worth nearly £2,000. This beautifully-crafted brown faux leather Montreal TV bed is sure to give the lucky winner’s bedroom a touch of luxurious style, as well as being a great place to relax and wind down at night, or wake up to the morning news. The modern, minimalist design incorporates a generously padded headboard which makes a comfortably relaxing backrest and a simple touch of a button on the bedside handset swiftly raises the LED TV from its concealed position in the slim foot end. In which film does Meg Ryan play a Baltimore based newspaper writer named Annie? Hi Michelle – you have to enter the competition on the dreams website, as we’re not running it through Inspired! 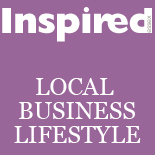 This entry was posted on August 17, 2012 by inspiredessex in Beauty & Wellbeing, Chatty, Gentlemen's Den, Home Style, Ladies Time Out, Offers and Competitions and tagged chelmsford magazines, Dreams, Dreams competition, eseex magazines.